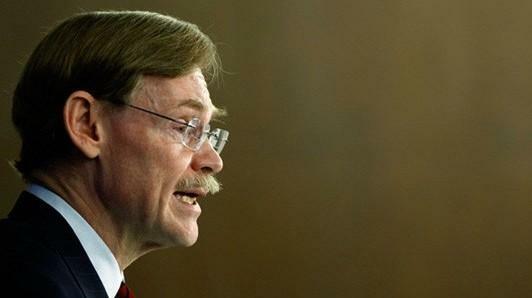 Robert Zoellick: What Should Be the Purpose of American Power? (The National Interest) – My first professor of diplomatic history directed the class to study the back of the one-dollar bill. His aim was not to suggest the commercial motivations of American foreign policy, but instead to help us find the Great Seal of the United States, which is conveniently printed on the back of the dollar. The Declaration of Independence states that governments are instituted to secure certain unalienable rights for all people, among them life, liberty and the pursuit of happiness. The U.S. Constitution prescribes the powers of the American government, and the Bill of Rights specifies limits on those powers. I believe this work of the Founding Fathers suggests that the purpose of American power is to safeguard Americans, form a more perfect union, protect constitutional rights and enable Americans to pursue the fruits of their liberties—while furthering a wider order that respects free individuals, just governments and the common qualities of humankind. Over the span of the last two hundred years, the power of the American state has reached heights that would have been inconceivable to the Founders. I believe they would be proud of twenty-first-century America, but also cautionary: suggesting that governmental power should be exercised with restraint, while individual initiative should be encouraged, at home and abroad. With “a decent respect to the opinions of mankind,” the Founders would urge their inheritors to explain America’s opinion, while never shrinking from pursuing the country’s reasoned beliefs. The most cherished belief is an exceptional one—that America’s greatest power is to be found in the dynamism of its citizens, and that the intrepid spirit of Americans will shape future eras within our country and around the world.